“Perched on the highest elevation in Manhattan, the neighborhood feels like a slice of Colonial Williamsburg airlifted into the city. The Palladian Morris-Jumel Mansion, built in 1765, is the oldest house in Manhattan, and was associated with George Washington and Aaron Burr. The mansion’s tree-shaded grounds offer sweeping vistas across the Harlem River to Yankee Stadium and down to the spires of Midtown, glittering like Oz in the distance. There’s also the implausibly quaint cobblestone street Sylvan Terrace, a single block lined with wood-framed row houses from 1882. The majestic brownstones of West 160th and West 162nd Streets that frame the area complete a pocket of almost startling gentility wedged between uppermost Harlem and Washington Heights.” John Strausbaugh. Your pied a terre on Sugar Hill. The self contained garden apartment shares the garden floor and private entrance of Jumel Terrace Books, an antiquarian bookshop specializing in Harlem Heights local history from the Revolution through the jazz-age Renaissance to its vibrant now. The townhouse is directly across the street from the Morris-Jumel Mansion, George Washington’s headquarters for 1776’s Battle of Harlem Heights and home to the infamous grand horizontal, Madame Jumel. At the time Duke Ellington dubbed the house “The Crown of Sugar Hill,” the immediate neighborhood was also home to W.E.B. DuBois, Paul Robeson, Count Basie, Lena Horne, Coleman Hawkins, Mary Lou Williams, Thurgood Marshall, and dozens of other Jazz Masters. The apartment features full kitchen and bath (tub and shower), sitting room with single bed and a large bedroom with an antique full-sized bed, desk, wardrobe, dining table, cable television, internet access and a full ornamental garden with a gas grill. Wine and dine al fresco on Sunday afternoons as the sounds of Marjorie Elliot’s Parlor Jazz waif from her near by apartment. A library room with a spectacular 19th century Queen sized brass bed and private bath on the second floor of the townhouse, with cable tv/internet and access to coffee facilities in the main library, is also available. The accommodations are available at day, weekend, weekly, and monthly rates. The house’s photo shoot, conference and party facilities rates are available on inquiry. Rooms are furnished in a comfortable, eclectic mix with bookish comforts. Choose from accommodations in an apartment for a double or triple, complete with a private entrance and garden, or our one bedroom with a private bath. In apartment: entrance shared with bookshop, well appointed garden with grill, firm antique double bed, full bath, and kitchen, coffee/tea facilities, welcome food supplies (cereal, fresh gourmet coffee, teas, milk/half and half, fresh fruit), desk amenities, cable television, internet access. We pride ourselves on the quality of our mattresses. All bedding has high thread counts, is hypo-allergenic and protected. The single room upstairs has a 19th century Queen sized brass bed, a domestic arts and local history library, private bath, desk amenities, internet access, cable television, ceiling fan and a garden view. Housekeeping service every 3 to 4 days for long stays and management is on the premises to assist. On premises: bookstore and library conference rooms, parlor and garden party rentals, computer, printer, internet service, laundry service, piano, telephone, cable television, cd player. There is a parlor floor gallery and dining room and a large large library suitable for meetings, lectures, photo shoots, and exhibitions. Inquire for costs. 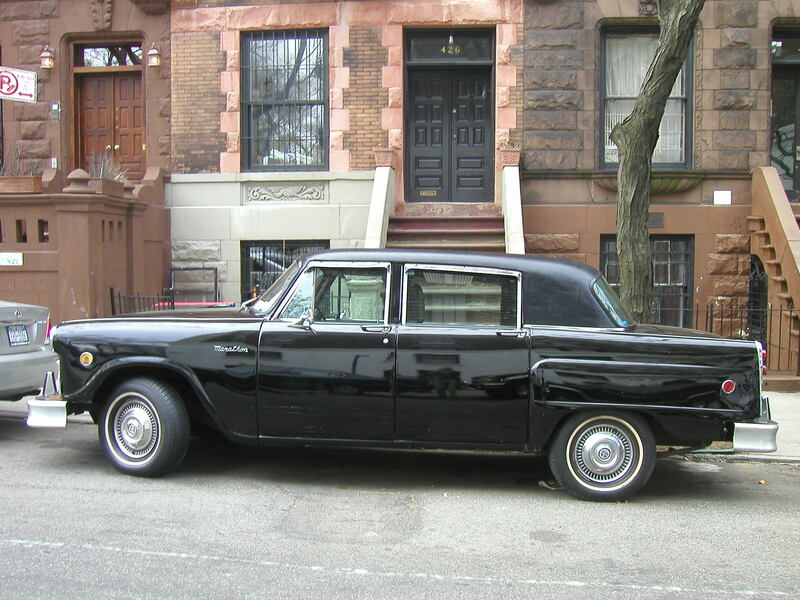 Tours: Our black on black 1976 Checker Marathon, with driver/tour guide, is available for motor-touring New York City for an additional fee. Check in time is by arrangement and Check out time is 11 a.m. Smoking is allowed in limited areas (outside only). No Pets. We cannot accommodate guest’s pets. Two cats, not in your rooms, are on premises. Children are welcome. No childcare is provided. Personal Consumption of alcohol is permitted. There are additional charges for hosting parties with more than two additional guests. Inquire for fees. We offer a 10% discount to students, professional scholars and artists. Holidays (Thanksgiving, Christmas & New Years, Easter, Memorial Day, Labor Day) : Inquire for rates. In addition to the garden apartment we have one room with a queen-size bed and a private bath on the 2nd floor that rents for one to three days only. A 50% Deposit amount required to reserve, the remaining 50% balance is due upon arrival. We accept Visa, Mastercard or Discover for the deposit. Balance is accepted in same, cash, travelers checks, money order, cashiers check, or company check form. If cancellation is one week before reservation, 30% of your deposit is refundable. Please be aware that cancellations made with less than 7 days to reservation commencement date are nonrefundable. The balance of the room fee is due in full upon your arrival. By Car – Up St. Nicholas Avenue to 160th Street, turn right one block or down Broadway to 160th, turn left to between St. Nicholas and Edgecombe Avenues. By Madison Ave. Bus – M2 to 160nd St & Edgecombe Avenue, M3 to 160th & St. Nicholas Avenue. By Subway – IND 8th Ave – A train to Harlem, Local, C train to 163rd St. Station, use south exit at 161st St. and walk one block south and one half block east. By I.R.T. Subway – Broadway 7th Ave. line (1) to 155th St. Station. Walk north to 160th St., then 2 blocks east. From Airports : Grand Central Parkway to RFK Bridge. Exit 125th Street, Harlem. West to St. Nicholas Ave, North to 160th St, Right. No traffic, expect 45 min (cab $55.00) from JFK, 20 min (cab $35.00) La Guardia. The Columbia Presbyterian Medical Center and the Audubon Ballroom are located 5 blocks north on 165th St. and Broadway, one stop on the C train. The City College of New York is 2 stops on the C train. Columbia University is 5 stops south on the 1/9 trains. The Schomburg Center for Black Culture is 3 stops south on the C train. Buses and subway are within one and two blocks. Good Soul, Dominican and Italian cuisine within walking distance. Besides the Morris-Jumel Mansion, open to the public seven days a week, Audubon Terrace’s American Society of Arts and Letters, The Hispanic Society and the macabrely elegant Trinity Cemetery are neighborhood treasures you can introduce your New York friends to. Nearby St. Nick’s Pub (New York’s oldest jazz bar), The Flash Inn, and Londel’s will transport you back to the days.